Question the Queen City: What lurks in the woods of Camp Greene? Editor’s note: In this series, local author David Aaron Moore answers reader-submitted questions about historic places in Charlotte. Submit inquires about unusual, noteworthy or historic people, places and things to davidaaronmoore@post.com. Funny you should ask. I grew up not far from there, and I can still recall the stories as a really young boy from a very elderly neighbor who lived in the area most of her life. Her name was Sally Kennedy. Camp Greene originally opened in July of 1917 and was a military training facility designed to prepare soldiers for fighting in World War I. Located in west Charlotte, the camp was constructed on 2,340 acres in an area that is bounded today by Wilkinson Boulevard, Tuckaseegee Road, Ashley Road and Morehead Street. Tens of thousands of young men from all over the country descended upon Charlotte, causing the population to triple, from 20,000 to 60,000. Recruits for what was known as the Fourth Infantry Division would be deployed directly to Europe following their stint at Camp Greene. 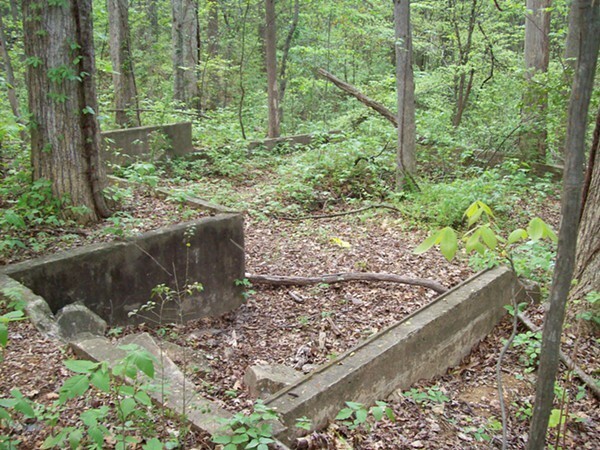 One of many World War I era structural foundations left behind on the grounds of Camp Greene Park. World War I lasted about three years, so the facility was open a relatively brief period. During that time, promises made by the city to provide plumbing for sewage to allow for toilets and showers were never fulfilled, thus sanitary conditions became increasingly hazardous. During an influenza epidemic, many soldiers perished. "There were so many sick young men,” Kennedy told me. "So many of them died." 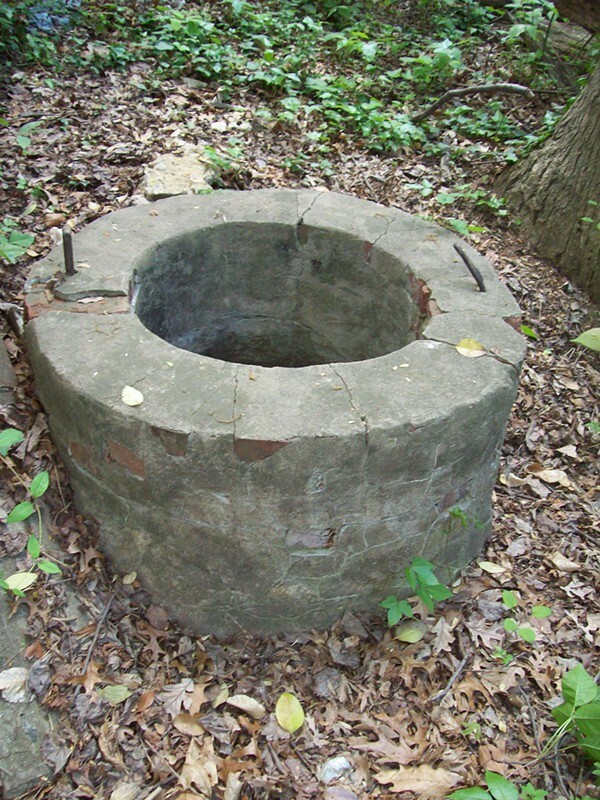 After the war ended and the camp was closed, parts of the massive compound were dismantled and building materials were salvaged and used throughout Charlotte. These days, there's not much left of Camp Greene. 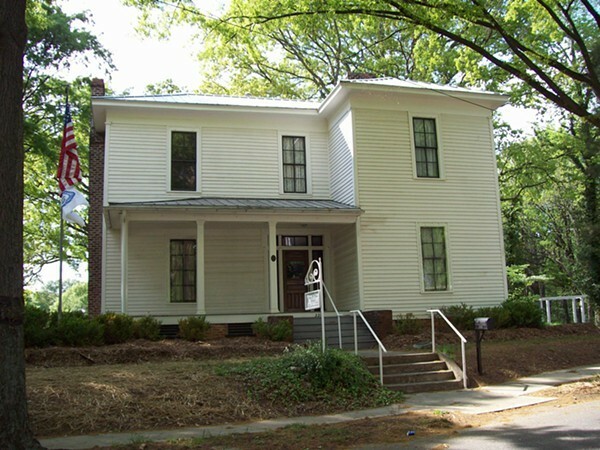 There is the Dowd House, of course, which serves as a museum for Camp Greene, and an impressive monument that sits just a block away from the Dowd House on Wilkinson Boulevard. In the late 1980s, it was decided to transform the grounds of Camp Greene into the public park. Paved walking trails were added, directing the walker away from structural remnants that still stand throughout the area. But if you stray from the path a bit, and look hard, you'll find some of the ghostly remains of what once was: bridge abutments that allowed soldiers to cross over long-since dried up creek beds, wells where thirsty soldiers once quenched their thirst, and decrepit concrete foundations that previously served as barracks, mess halls and officers' quarters. "I can still see those young men right up here in my head," Kennedy recalled. "Most of them were no more than 18, and I was already up in my late 20s by then. They seemed like such little babies, going off to fight war." Kennedy continued to live in the Camp Greene area for the rest of her life. Her husband Gus passed away in the early 1950s. It was not long after that she began to take notice of strange things happening in the forested area that covered what was left of Camp Greene. "I saw lights. Strange lights. Late, late at night sometimes I'd be sitting on [the] front porch and I could peer through the trees and it looked like people carrying a lantern of some sort. Then there were the eerie sounds that would send a shiver up your spine. Somebody screaming in pain. Then sometimes it would sound like a crowd of people marching through the leaves." Kennedy claimed she was always too scared to step off her front porch after dark, though she did once and wandered just to the edge of the woods. What she said she saw there sent her running back to her house, never to step foot off the porch again after sundown. Kennedy said she snapped off the upper half of one of the dried up mullen plant stalks she kept on her back porch and set the top of it on fire so she could use it as a torch to light her way. She was just feet into the edge of the woods when she saw something that made her stop dead in her tracks. "There was two young men several feet ahead of me on the path. They were covered in mud up to their waist. They were dressed in old clothes and one of them looked like he was hurt, because he was leaning on the other one pretty heavy. I wanted to help them so I tried to rush along as fast as I could to get to them. I lost sight of them at a bend in the path. When I got there, they were gone. They had just disappeared. I looked around in every direction, but I couldn't see a trace of them. "Then I heard that scream. It was the first time I ever heard it and it scared me enough to make me run for the house. I never went back in there after dark again, but every once in a while I would hear a scream that sounded a lot like the one I heard that night." Kennedy passed away in 1974 at the age of 86. Her tiny house that once stood on Granger Avenue just outside Camp Greene Park mysteriously burned in 2010. She and her husband Gus are buried in the city's Forest Lawn West Cemetery. David Aaron Moore is the author of “Charlotte: Murder, Mystery and Mayhem.” His writings have appeared in numerous publications throughout the U.S. and Canada.